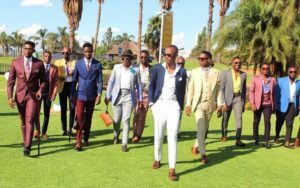 Lol: The Men’s Conference Tweets Are The Most Hilarious. Trust men to come up with all kinds of excuses to avoid Valentines Day traditions. We all know that the traditions involve spending time with their partners and spoiling them with gifts. It seems that most women will spend the day alone because their significant others are attending Men’s conference somewhere. The post Lol: The Men’s Conference Tweets Are The Most Hilarious appeared first on Youth Village.